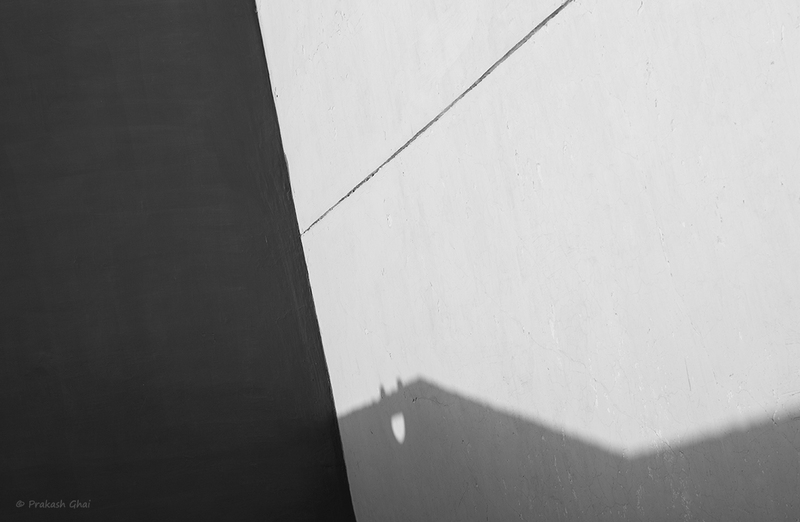 Minimalist Photography using the contrast between light and shadows. The intent of shooting in black and white is, to draw attention to the lines, enhance focus on the patterns, and to bring out the intricacies amonsgst the elements in the frame as a whole. Art that nature creates through light and shadows, hold a very special significance. They appear for a moment and until you are there at the same place, the same time, with the same camera settings, you could probably can never repeat the shot. The dark wall you see on the left was red in color and the white on the right was yellow. You need good color contrasts, in order to make the photo look good in black and white. The Less Elements parts of the photo is, that all lines i.e the simple geometry, in totality is considered as "one element", the second supporting element being, light and shadow. This could very well be categorized under Minimalism as Simple Geometry too, it all depends on what the photographer wants to show.